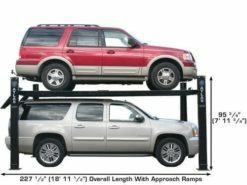 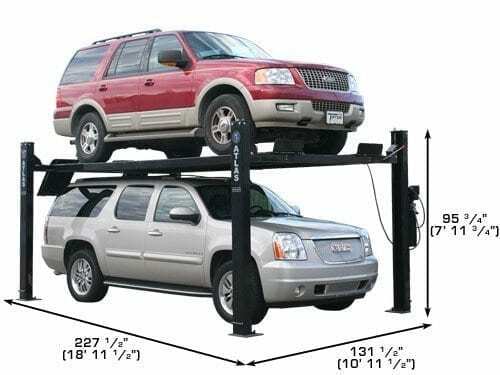 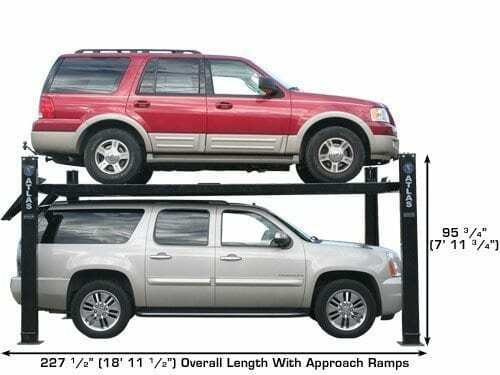 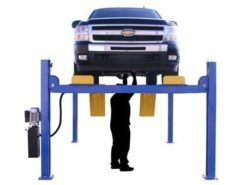 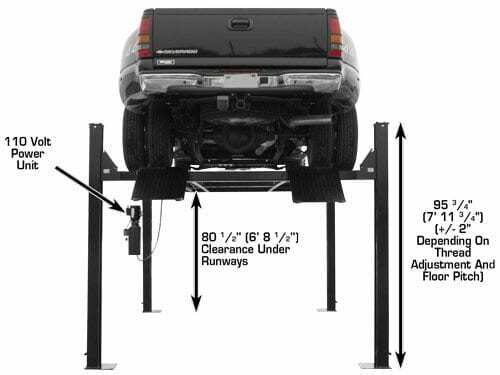 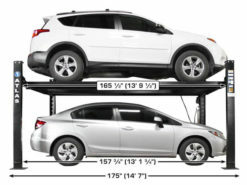 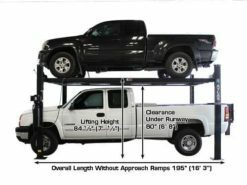 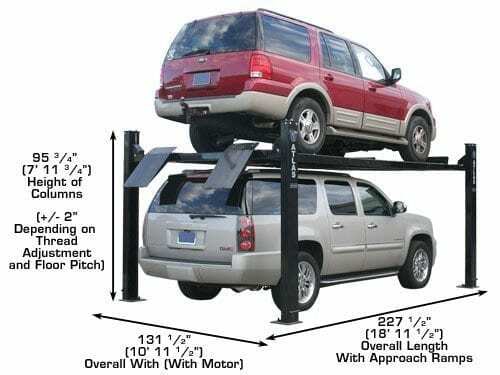 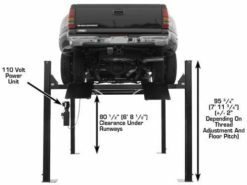 The Atlas® Garage Pro 9000 has extra long runways and extra high lifting capacity. 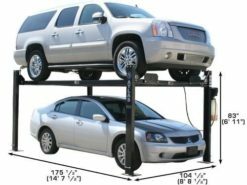 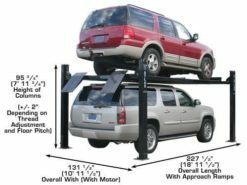 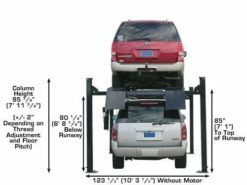 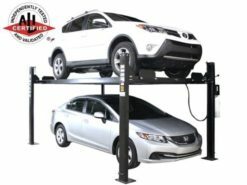 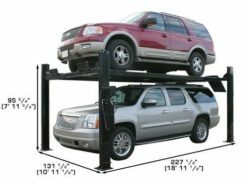 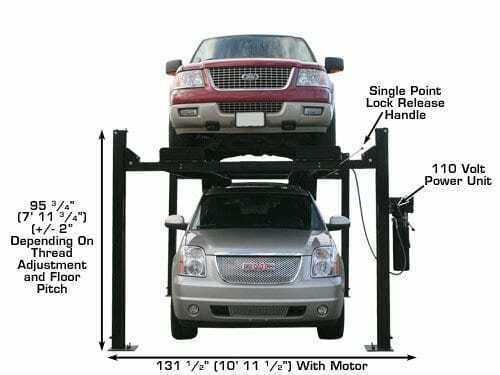 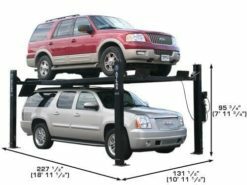 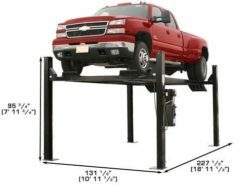 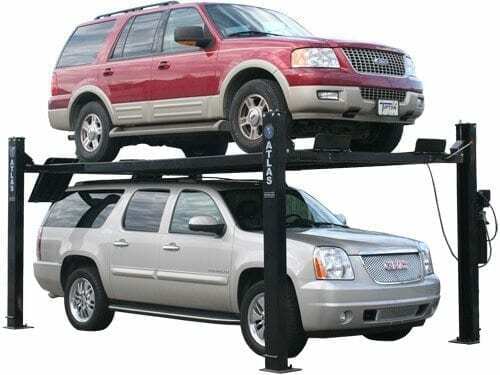 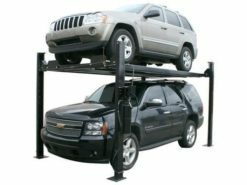 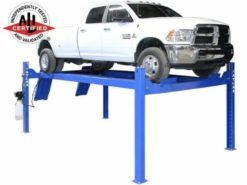 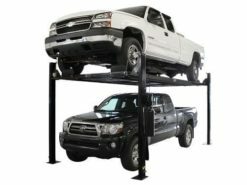 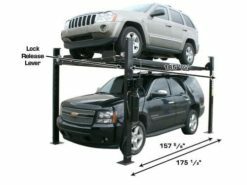 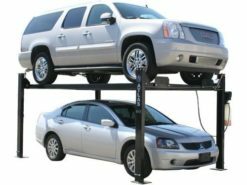 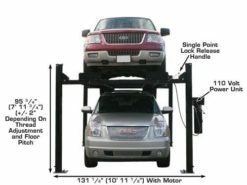 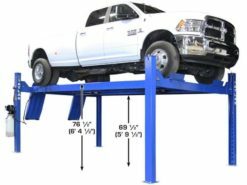 This lift is built to commercial grade standards and incorporates the portability features enjoyed by the serious hobbyist. 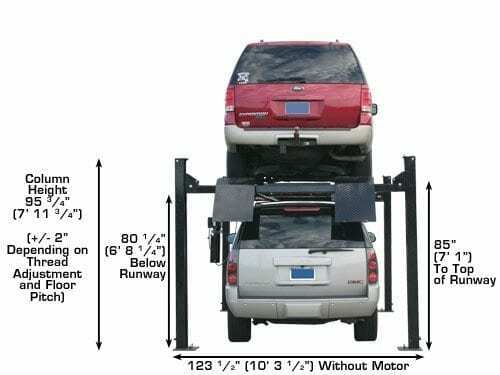 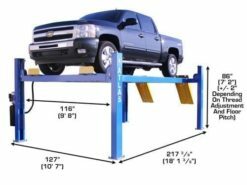 Approach Ramp Length 31 1/2"
Total Runway Width 21 1/4"
Width Between Runways 39 1/4"
Width Between Runway Rails 35 1/2"
Size of Column 7 1/2" x 4 1/2"
Base of the Column 11 1/2" x 11 1/2"